Strange hippo-like creatures go on adventures where they often face dangerous threats in this new exhibition. We are of course talking about the Moomins — we have cherished childhood memories of watching the cartoon series growing up. Tove Jansson is the author who created these creatures, and this exhibition at Dulwich Picture Gallery looks at her most famous creations as well as her wider career, proving that there was more to her than just Moomins. It's great to see a different side to Jansson; she satirises Hitler in a cartoon, and offers up a frightfully dark painting of woman surrounded by demonic-looking wolves. I look like a cat ... with cold slanting eyes. A feline looking self-portrait. © The Estate of Tove Jansson. Her still lifes are a tad dull, as are her illustrations for the Swedish versions of Alice in Wonderland and Lord of the Rings — nothing really jumps out of these drawings to make us feel like we're back inside the books. Then we get on to what most people will be visiting for; The Moomins. 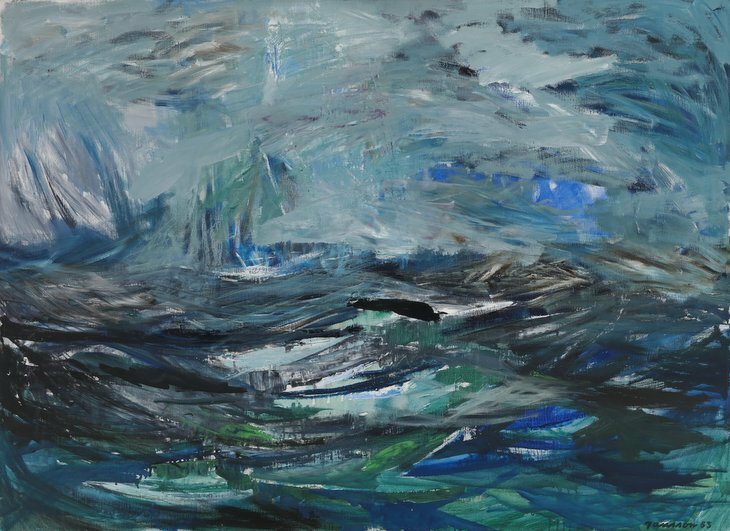 It's fascinating to learn how the second world war shaped the artist's vision. The threatening world outside filtered into her comics, making them darker. They were later softened a little, with the Moomins made rounder in shape. Given how dark the cartoons were even after this softening, it's probably for the best and ensured we weren't traumatised as children. The drawings can be a little repetitive here. Having the finished product side by side with Jansson's original illustrations is a nice idea as a one-off, but repeating it round the final room is overkill. It's the stories of the Moomins that made them so popular, and single pages can't really convey that narrative. That said, the wider visuals of the exhibition are striking with Moomins larking about on the walls. The final room's walls are converted into a black and white forest for an immersive ending. 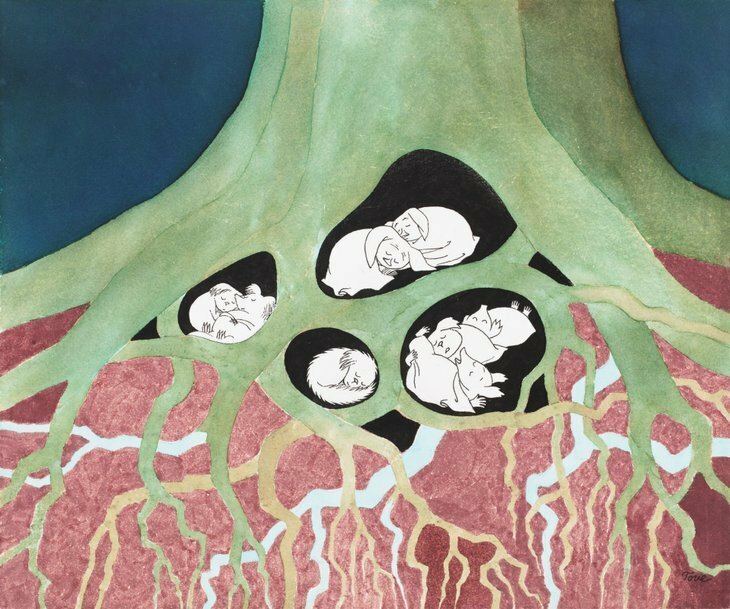 The inclusion of a snug in the middle populated with books is perfect for bringing children into the world of the Moomins, though the majority of this show is more likely to appeal to grown ups than to the little ones. 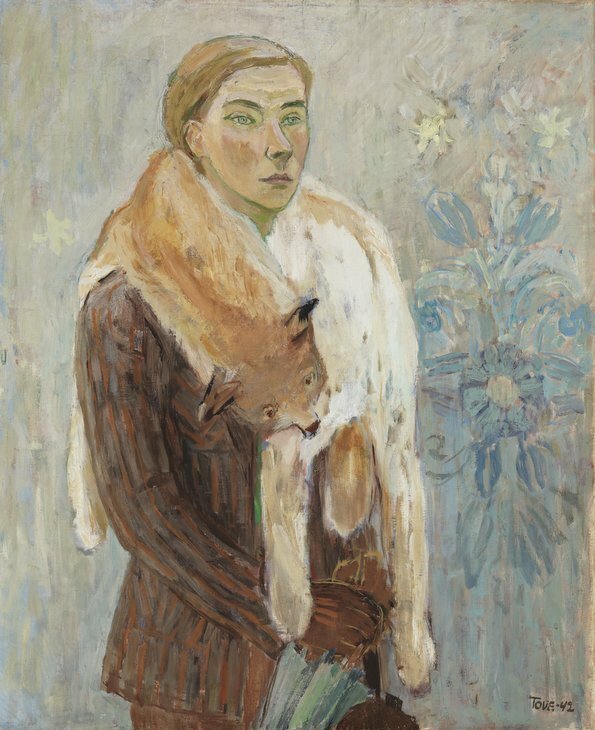 Tove Jansson (1914-2001) is on at Dulwich Picture Gallery until 28 January 2018. Tickets are £15.50 for adults and include entrance to the permanent collection.